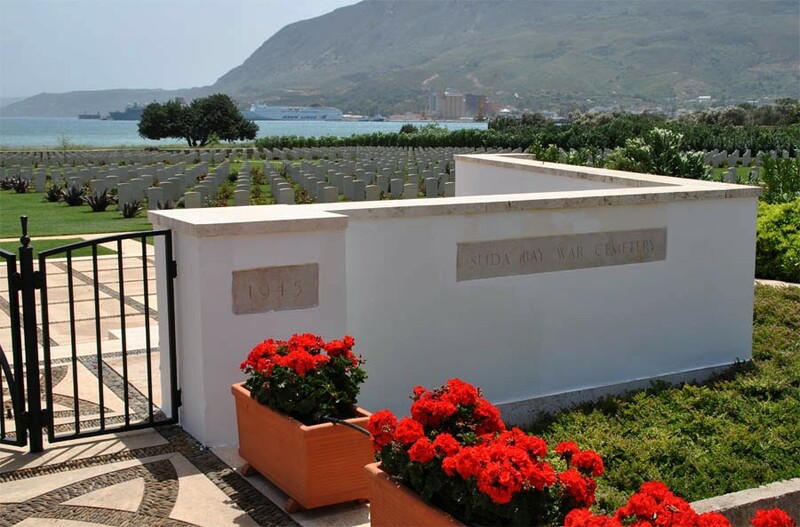 The Suda Bay War Cemetery is located at the north western corner of Suda bay on Crete. 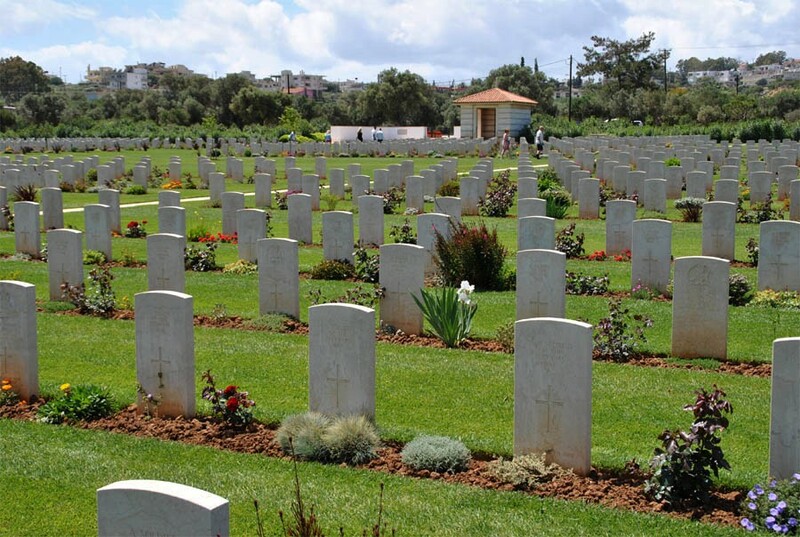 The cemetery holds the graves of hundreds of Commonwealth soldiers the tried to defend Crete against the German invasion in May 1941. 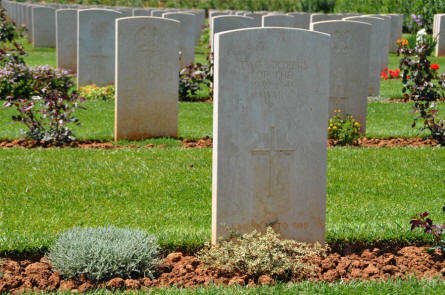 1,500 Commonwealth servicemen of World War II are buried or commemorated in the cemetery - as well as 19 World War I soldiers and a few other soldiers and civilian from other conflicts. 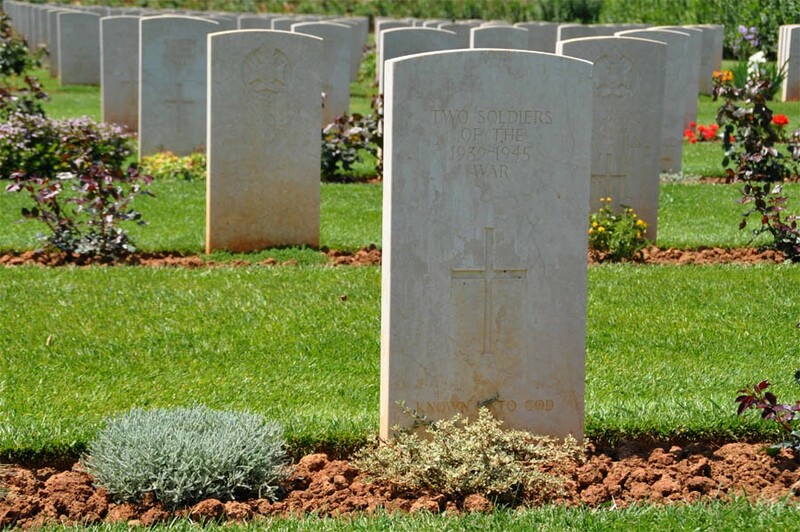 One of the "unknown" World War II graves at the Suda Bay War Cemetery on Crete. Some of the many World War II graves at the Suda Bay War Cemetery on Crete. One of the many World War II graves at the Suda Bay War Cemetery on Crete. 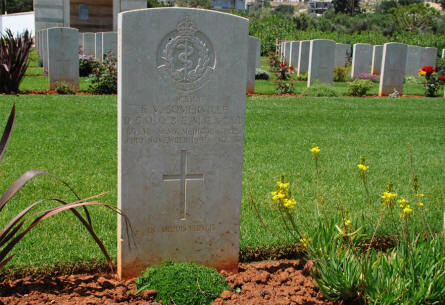 This grave belongs to Captain T.V. Somerville (Royal Army Medical Corps - highly decorated) who died on the 23rd of November 1941. 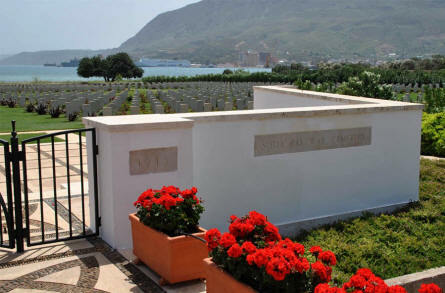 The entrance to the Suda Bay War Cemetery on Crete. 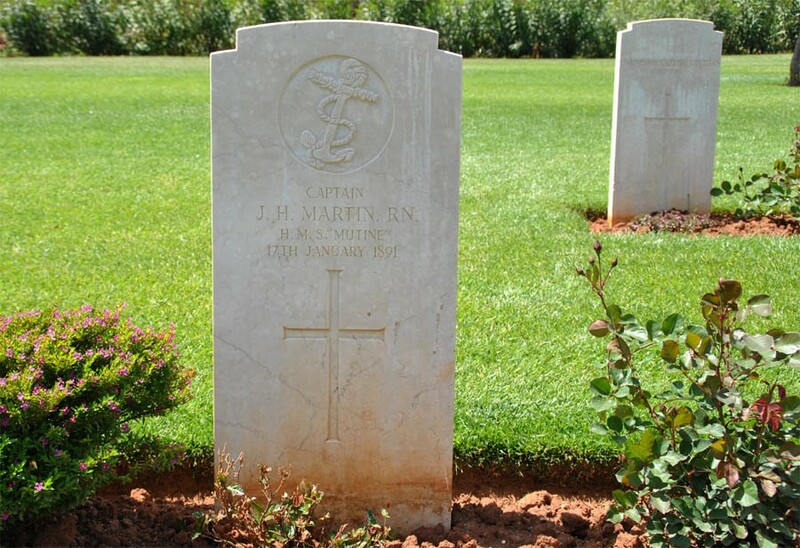 The grave of Captain J. H. Martin (died on the 17th of January 1891) is one of the oldest graves at the Suda Bay War Cemetery on Crete. 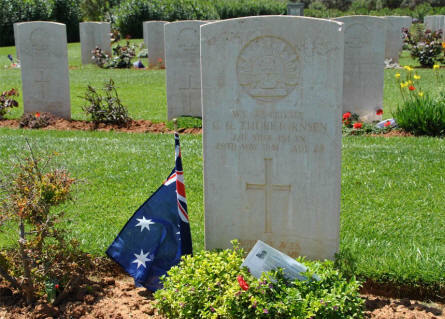 One of the many many Australian World War II graves at the Suda Bay War Cemetery on Crete. This grave belongs to Private C. G. Thorbjornsen who was killed on the 20th of May 1941.